The executive suite offers luxurious space and spectacular view from the 10th floor. The view from the private natural hot spring bath in the suite is exceptionally magnificent. 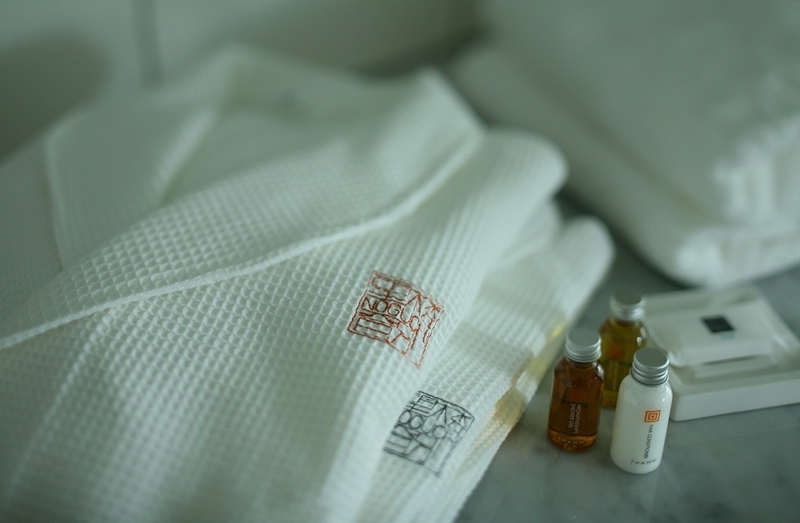 Enjoy the ultimate relaxation from the comfort of your own room. * Price range shifts according to the day you stay. 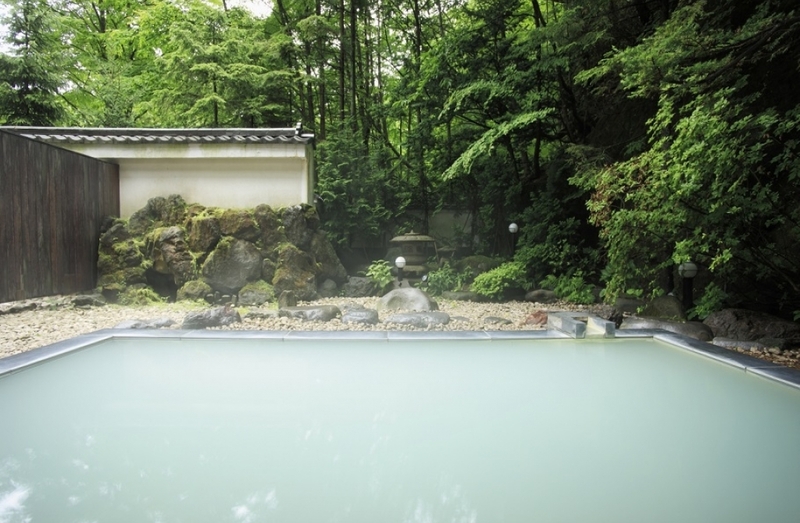 ・ Open-air uncirculated natural hot spring bath. ・ Check-in at the lounge on the exclusive floor. 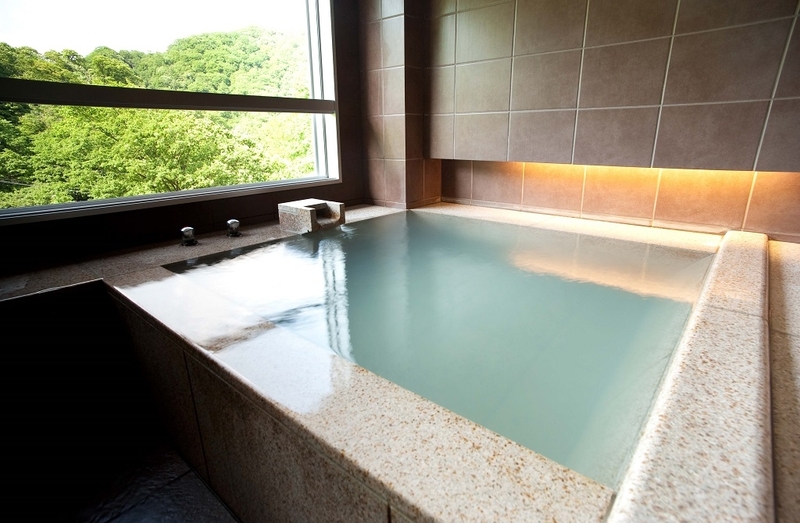 ・ Services such as private heated stone bath, lounge and having breakfast at room are provided for free. Free of charge: Beer, green tea, and mineral water (for 2 persons). * Additional drinks will be charged accordingly. Restaurants at [Bourou NOGUCHI Noboribetsu] particularly are designed so that couples can enjoy a private space and leisurely meal. Relax and enjoy a moment of bliss. We have prepared a Japanese-Western Course that incorporates a Western touch into a Japanese course meal with the tastiest seasonal ingredients Hokkaido has to offer. 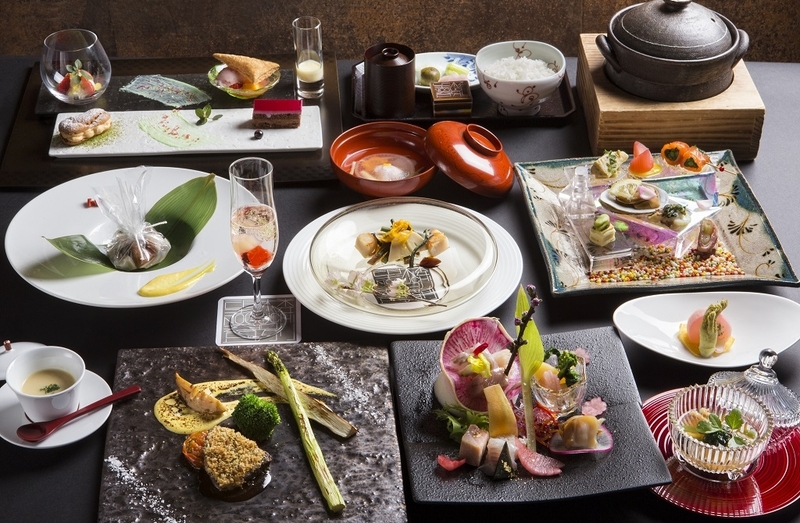 Choose from either Japanese or Western breakfast set. Free shuttle service from Sapporo Station or New Chitose Airport is available. * Seats are limited and reservation is necessary, so please ask for shuttle service when booking your accommodation. ・ Please note that children under 12 years old cannot stay the night here. ・ If you have any food allergies, please let the staff know when you make your reservation. Up to 6 days in advance ... Free of charge. 5 - 3 days in advance ... 30% of accommodation price. 2 days in advance ... 50% of accommodation price. 1 day in advance ... 100% of accommodation price. 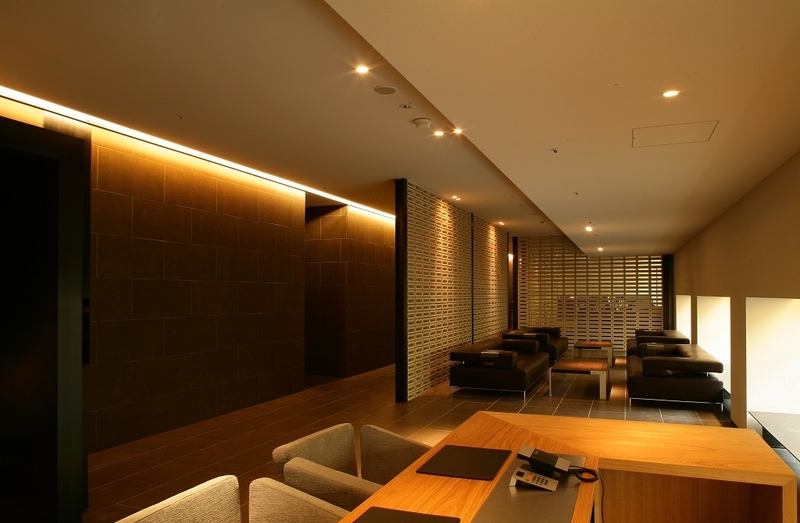 A refined yet serene Japanese interior design is used throughout the entire hotel. 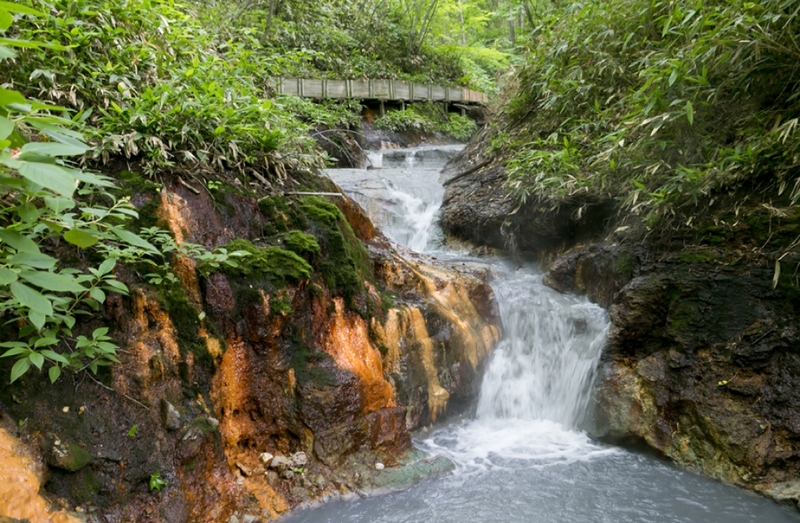 All rooms are suite rooms with private natural hot spring baths with a view. It is the perfect private resort to spend a special and pampered stay with that someone special. ● Internet access is available through LAN provided in each room. ・A customer apply for reservations through the reservation form. *Application should be done until the noon of the day before the date of use. *Reservation cannot be processed on Saturdays, Sundays, or public holidays. ・If contents of application are not sufficient we would confirm detailed information with you by e-mail..
・We confirm whether the facility such as hotel or restaurant can take your reservation or not. ・If the reservation cannot be taken because of unavailability we inform you of that. ・We send you credit card payment link via e-mail when the reservation is taken. 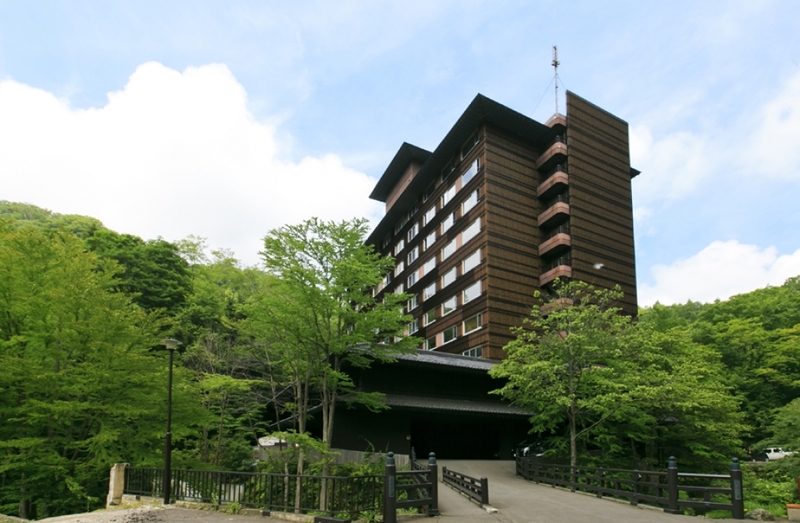 ・Guests settle the payment via credit card online paying system. ・We send you the voucher after the confirmation of your payment. ・You go to the reserved facility on the day and present the voucher. Copyright © PREMIUM BOOKING-HOKKAIDO All rights reserved.